A new photo of Benedict Cumberbatch as Marvel's Doctor Strange has surfaced, and (if you ask me) it's nothing short of amazing. I mean, look how closely the costume and overall appearance resembles the comic book version. 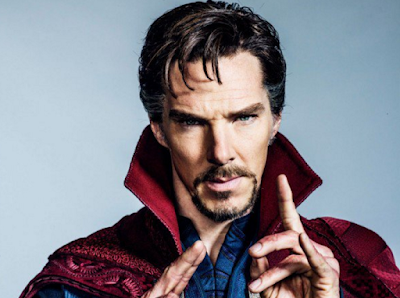 Doctor Strange opens November 4.